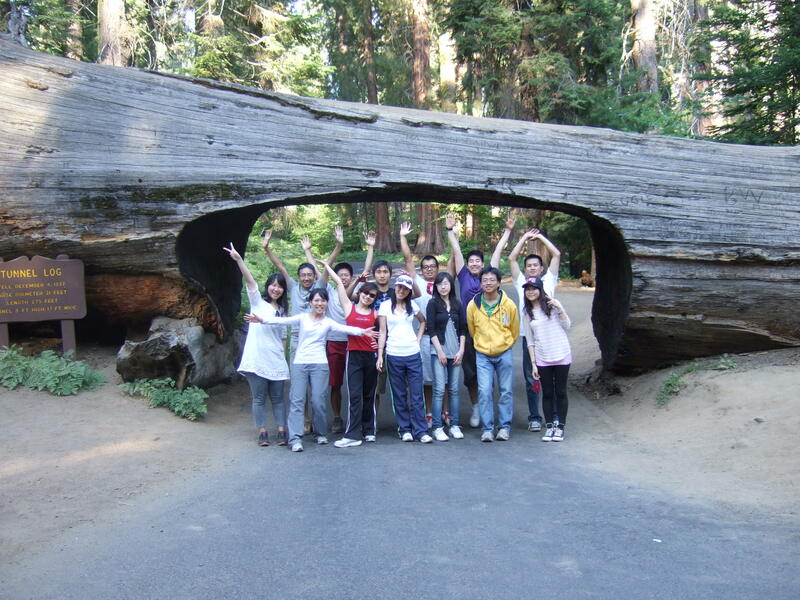 During this long weekend, I went to Sequoia National Park with some of my softball teammates and some friends. 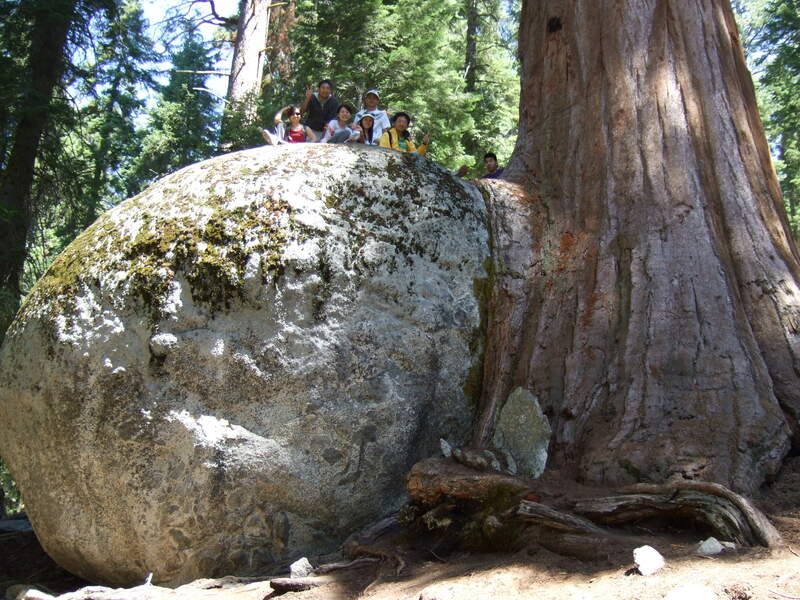 This national park is famous for big trees and stalactite. We left San Jose on Friday evening, and stopped at Fresno, CA. In the national park, there is no cell phone signal, so it’s really hard for our three cars to communicate with each other. We spent too much time waiting for other cars or people. I have watched Oregon’s redwood forest last year, but the feeling for trees in Sequoia National Park is slightly different. It’s more geared to tourism. 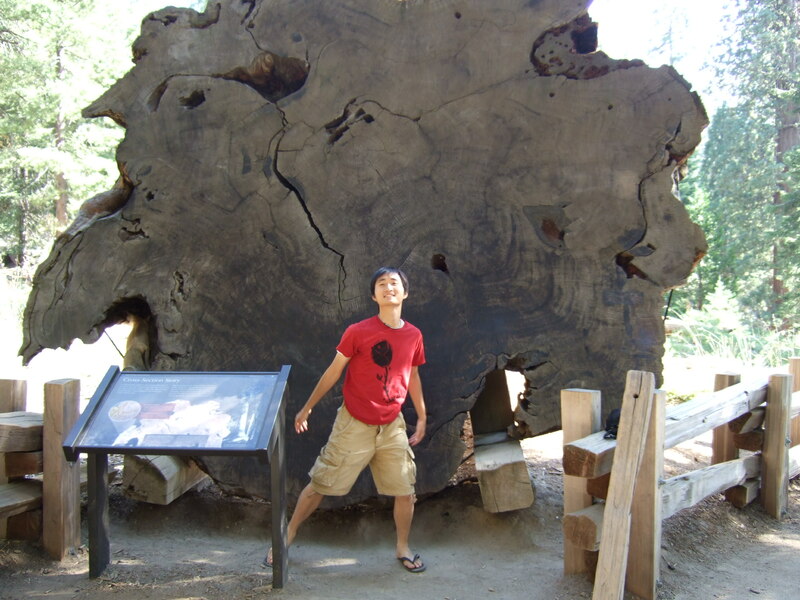 It’s not as nature as trees in Oregon’s redwood forest. I have posted some photos below. You can see there are signs beside big trees. 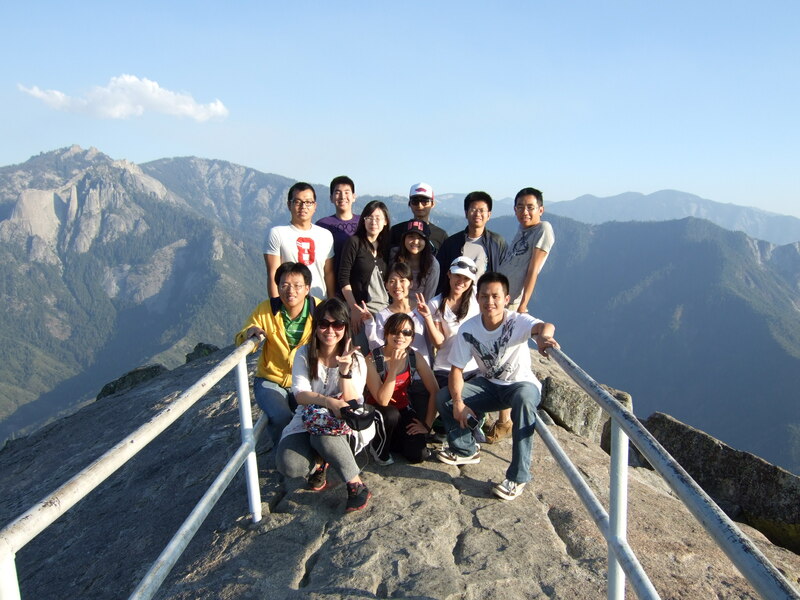 Before we left the national park, we went to a beautiful high point, Moro Rock. We could see the valley and mountains around us. It’s really amazing. It made me feel that I stood on the top of a mountain.